Land Listing in Acton from Keller Williams VIP on Vimeo. If you are considering listing your property for sale, you need an experienced agent who has a marketing plan that has been proven to work. Read on to find some highlights of the Catherine O’Sullivan Real Estate expert marketing plan and contact me to find out more about how I will successfully sell your property. Your property will be professionally advertised on all of the top real estate websites such as Zillow.com, Trulia.com, Realtor.com, Homes.com and more. We generate thousands of clicks to our properties every month. Furthermore, over 92% of buyers begin their search online. It is crucial for your property to be highly visible throughout the web. Buyers decide whether or not to see your property from the online photos – our team makes your home perfect, with a professional photographer and a professional photo editor to improve the images. We can replace our logo with YOUR home’s image. We have many more tools like that in our toolbox. Work with an agent and team who has experience selling all property types and managing multiple offer situations for their clients. Catherine and her team are expert negotiators and communicators. We develop a rapport with other agents and know how to frame the situation, offers, and counter offers to generate the best possible results for our clients. Bring your property to life with high definition (HD) video tour of the property! This video will be promoted on the web, and allow potential buyers to get a better perspective of the home’s features and benefits, character, layout and charm. Along with an interior tour, depending on the property, we offer state-of-the-art aerial footage video. These videos, captured by drones, get buyers’ attention with their impressiveness and uniqueness, and get them excited about your property! We will review recent sales comparables with you and determine the best listing strategy to get you the most offers and ultimately the best possible price for your property. Special Program! Remodel Now, Pay Later. If your property needs a little makeover, but you don’t want to put cash into it, this program may be just right for you! For no upfront cost, we can help you remodel your property to have it in a more appealing condition to discerning buyers. This program has helped our sellers make tens of thousands of dollars extra on the sale at no cost or hassle to them! Please contact us about this special program. In addition to heavy web advertising, we have a huge database of agents and buyers to which he will email blast and network your property. professionally designed high quality flyers and postcards will be distributed to the neighborhood, open house attendees, and other prospective buyers. A brokers’ open allows agents from all offices to view your home and set up appointments for their clients to view your property. 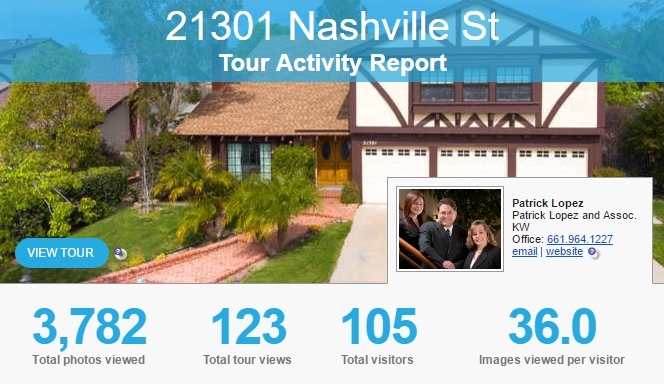 Public open houses increase buyer traffic to your home. More traffic translates to more offers. Our extensive experience with both buyers and sellers has shown us the details buyers pay attention to. We can help ensure your home is in tip-top condition to grab even the most discerning buyer’s attention. Patrick Lopez & Associates will be there for you every step of the way, giving you consistent feedback and honest advice throughout the process. Our team will always look out for your best interests and ensure your ultimate satisfaction.